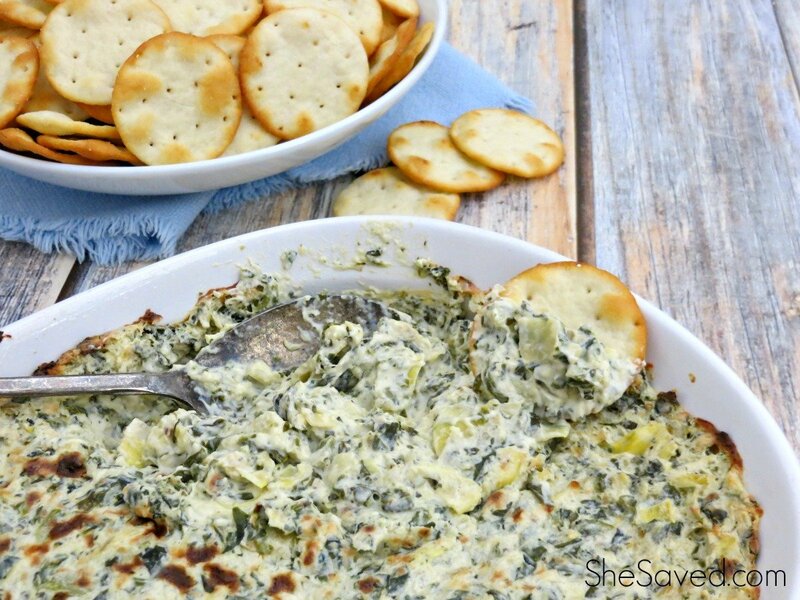 Looking for a delicious snack to make this week? Look no further. 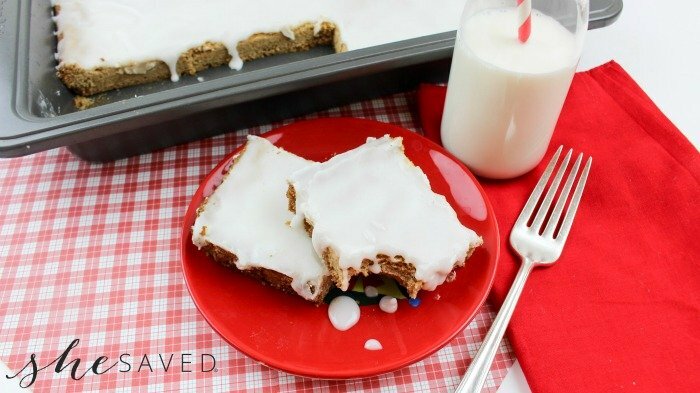 These easy Cookie Bars are yummy and taste like cinnamon rolls! Have you see the boxed Pillsbury Cinnamon Bun Moist Supreme Premium Cake Mix? 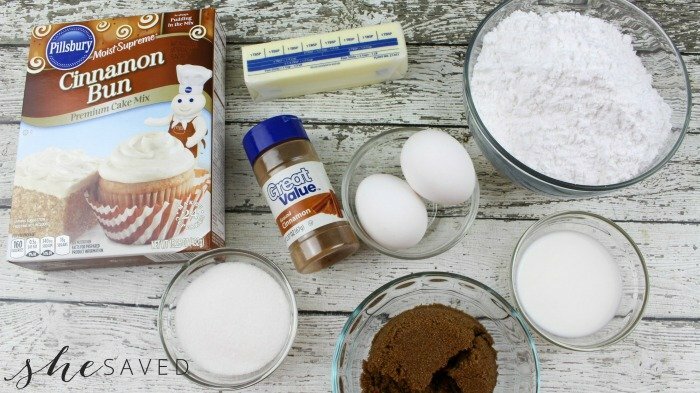 I’m here to tell you, this box mix has mad skills when it comes to helping you create quick and easy cookie bars! 1. Preheat oven to 350°. 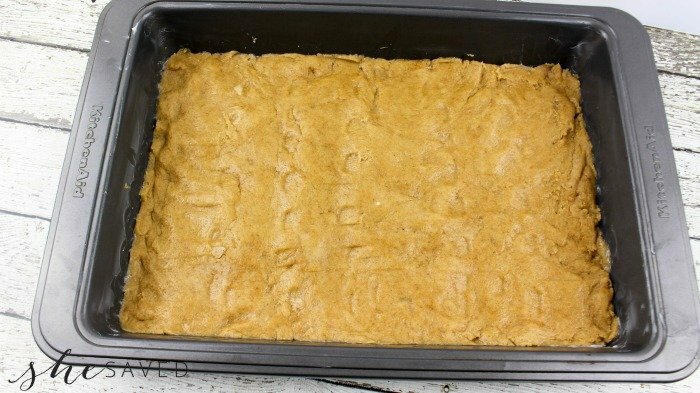 Lightly grease a 9 X 13 baking pan and set aside. 2. 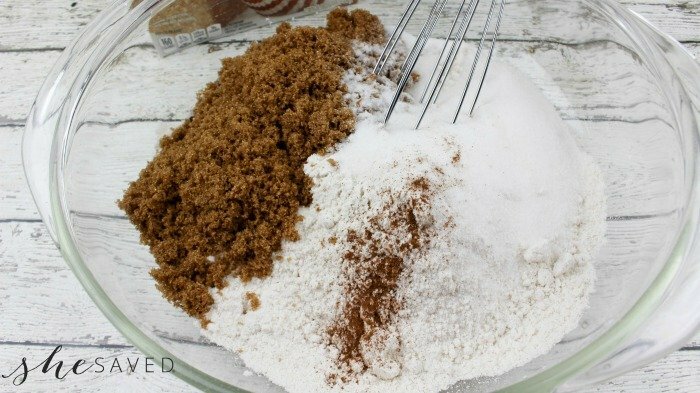 In a large mixing bowl add the cake mix, both sugars and the cinnamon. Whisk to combine. 3. 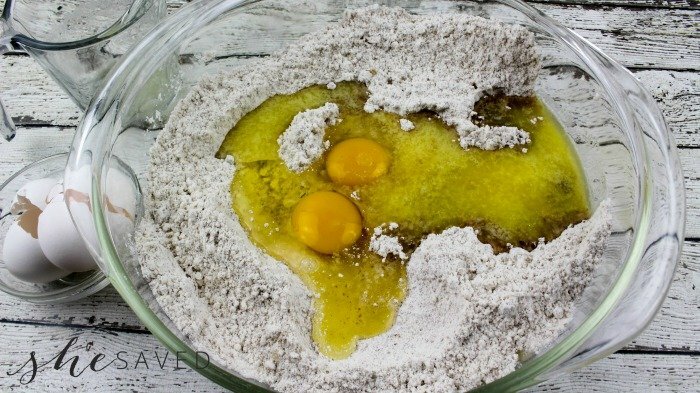 In a medium mixing bowl, add the melted butter and two eggs. Whisk until combined. 4. Add the wet ingredients to the dry ingredients and stir until well incorporated. 5. 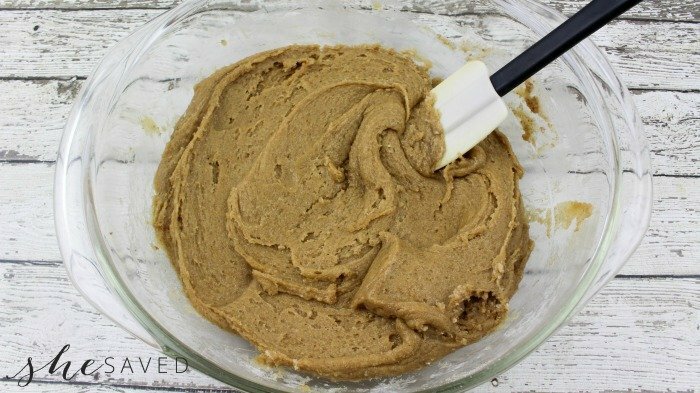 Transfer the cinnamon roll cookie dough to your greased pan and spread it evenly. 6. Bake for 25 minutes or until an inserted toothpick from the middle comes out clean. 7. Cool in the pan, on a wire rack for at least 15 minutes before icing. 1. 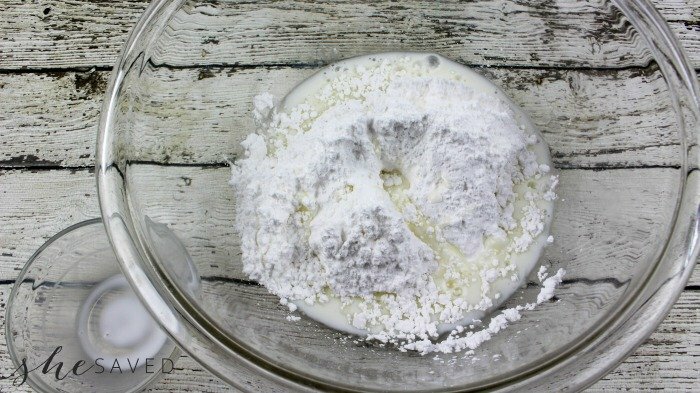 Add the milk to the powdered sugar in a medium bowl and stir until a thick glaze forms. If the glaze is too thin, add more powdered sugar. 2. 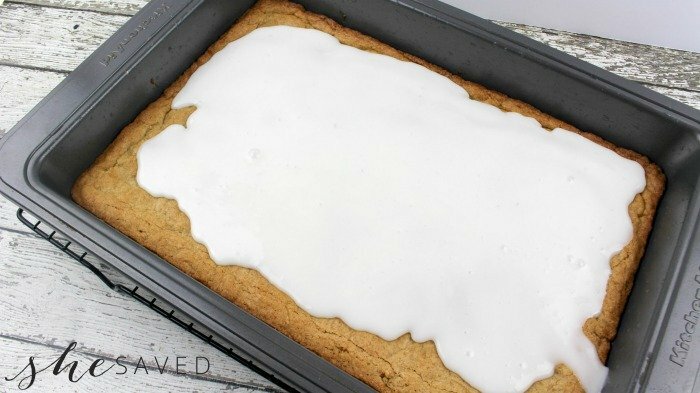 Pour the glaze onto the top of the cinnamon bun cookie bars and spread evenly. 3. 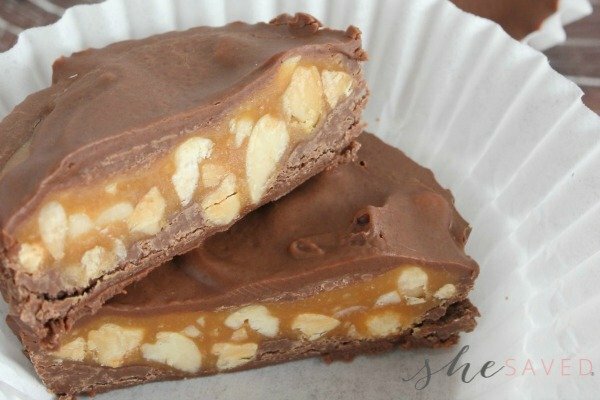 Cut into squares and serve. 4. 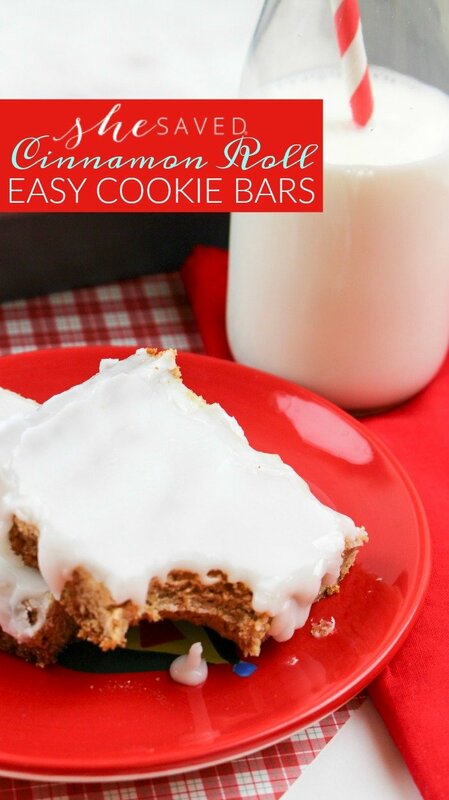 ENJOY these Easy Cookie Bars! I am definitely going to have to look for that cake mix! This sounds wonderful. Pinned.